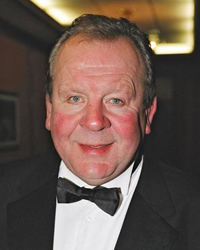 Bill Beaumont became one of England´s best-known rugby union players. Bill played for England 34 times between 1975 and 1982 until injury forced his early retirement from the game. For 21 of those games Bill was an inspirational captain, and English fans of the right age will never forget that great climax in March 1980 when England beat Scotland to secure the Grand Slam, following that memorable thrashing of Wales at Twickenham, England 9 Wales 8. Little did the Fylde sixth team in 1970 realise what heights their new fullback would reach, 7 Lions caps, 3 in New Zealand 1977, and 4 as captain in South Africa 1980. Bill is of course a veteran of “A Question of Sport”, and heavily involved at Twickenham in the development of our game. He was awarded an OBE in the 1982 New Year´s Honours, and is currently an accomplished and very popular speaker on the After Dinner Circuit.